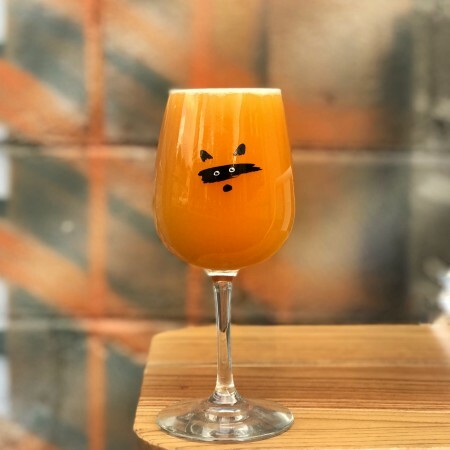 TORONTO, ON – Bandit Brewery has announced the release of a strong, amped-up version of the popular North East IPA style. Tempest was double dry-hopped with some very bold hops like Galaxy, Mosaic, and Colombus, creating a full “storm” of hop aromas. Galaxy hops bring forward notes of mango and passionfruit, Mosaic hops provide the beer with some tropical notes and a hit of pine, and Colombus hops add a characteristic resiny earthiness to the mix, which balances out the sweeter aromas from the other hops. To say that Tempest is an explosion of unique and bold flavours is an understatement, but all these contrasting characteristics manage to blend nicely with each other, resulting in a smooth beer packed with hop flavour. Tempest is available starting today (October 16th) on tap in the Bandit brewpub and in bottles in the retail shop.